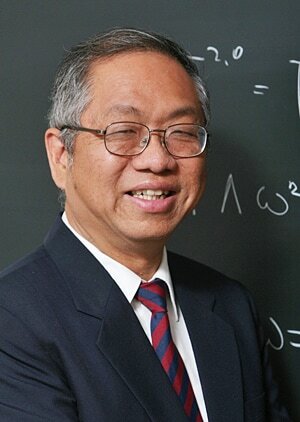 Award-winning mathematician Professor Shing-Tung Yau from Harvard University. Professor Shing-Tung Yau, a Fields Medal winner from Harvard University, will present a free public talk on The Shape of Inner Space on Friday 26 November at the University of Sydney. Wondering about and seeking to understanding the nature of space has consumed people for as long as our species has existed. It is natural to look up at the sky and wonder about our universe. Get a unique insight into the nature of space from one of the most influential mathematicians of our time at this public talk. Based on his popular book The Shape of Inner Space, written jointly with science journalist Steve Nadis, this talk presented by the Faculty of Science will take the audience on a fascinating tour through some of the most important and exciting developments in mathematics and physics. Having won the Fields Medal in 1982 - the Nobel Prize for mathematicians - Professor Yau is a distinguished mathematician working in differential geometry, whose important contributions to mathematics have also had significant impact on physics. We are all familiar with the four dimensions humans can perceive with our senses: height, width, depth and time. String theory shows that we live in a universe with ten dimensions - the other six dimensions that we can't perceive every day are curled up in structures known as Calabi-Yau manifolds. Professor Yau will introduce string theory and explain how it reveals the geometry of the universe's hidden dimensions. He will show us what we currently understand about the nature of space, and where mathematics will take us next. Mathematics is a thriving and dynamic field, demonstrated in this fascinating exploration of a world we are only just beginning to grasp. Come and hear Professor Yau explain how geometry is not only fundamental to string theory, but also fundamental to the very nature of our universe. Professor Shing-Tung Yau was born in Shantou, Guangdong Province, China. He studied mathematics at the Chinese University of Hong Kong from 1966 to 1969, and obtained his PhD from the University of California, Berkeley in 1971. Professor Yau mathematically proved in the 1970s that these Calabi-Yau manifolds exist, after American mathematician Eugenio Calabi proposed them and first studied them in the 1950s. His work allowed physicists using Calabi-Yau compactification to show that string theory is a viable candidate for a unified theory of nature. Calabi-Yau manifolds are among the 'standard toolkit' for string theorists today. Professor Yau's proof of the positive mass theorem in general relativity demonstrated, sixty years after its discovery, that Einstein's theory is consistent and stable. Professor Yau has been awarded many major prizes including the Fields Medal, the Crafoord Prize, the National Medal of Science (from the US President) and most recently the Wolf Prize in May 2010. When: 4 to 5.30pm, Friday 26 November. Afternoon tea will be served from 3.30pm.